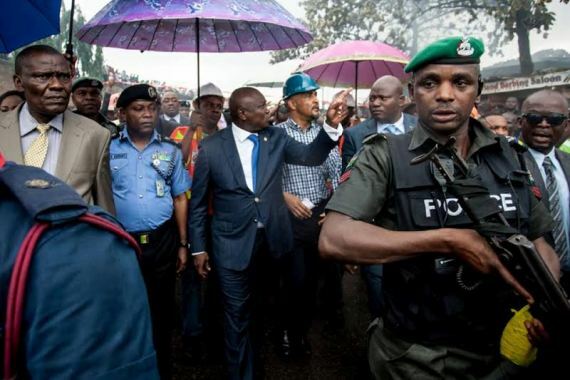 Lagos state governor, Akinwunmi Ambode visited the scene of the fire incident that occurred in the Iyana Ipaja area of Lagos this morning in which properties worth millions of Naira were destroyed. 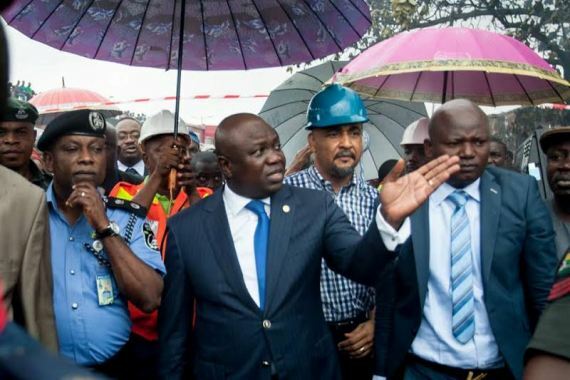 Ambode said the fire was caused by a 33, 000 liter petrol tanker that fell off the Ipaja bridge and spilled its content across five streets in the area. Shops, cars, buses and buildings were razed in the ensuing inferno. 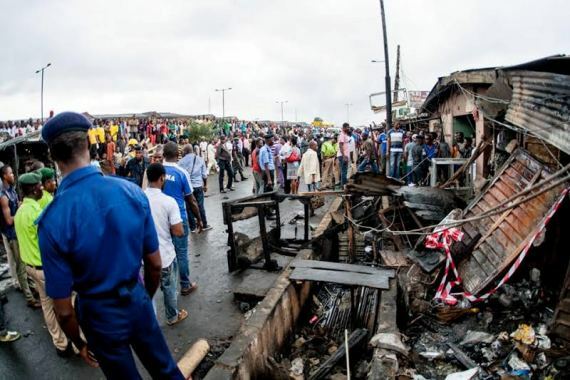 "Around 1am, a tanker loaded with 33,000 litres of petrol fell from the Ipaja bridge and spilled all its contents covering almost five streets here. In the last four hours, all our emergency agencies have been effectively on the ground and we have been able to manage and control consequences of what 33,000 litres of petrol would have done to this neighbourhood. Thank God, there has not been any loss of lives, but again, there are victims whose shops were destroyed. As of the last count, the agencies have been able to report that everything has been put under control. We've also recorded two other incidences, just like this one in other parts of Lagos overnight; one in Badagry and the other one in the Ojo area. It would also mean that our tanker drivers have to start to do something about their operations. We cannot continue to record loss of lives and property because our tanker drivers ‎are not disciplined."